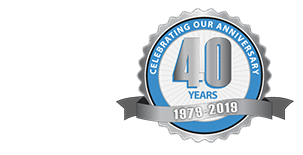 The first garage doors relied heavily upon wood to complete their construction. Today, wood still continues to appeal to those seeking traditional styles and materials. Wood doors are available in a variety of styles and can even include windows. 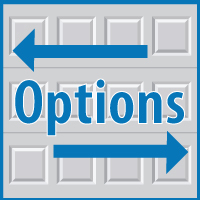 On the low-cost side of the spectrum, wood doors are available in painted, flat hardboard panels. 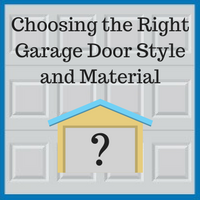 On the other side, stain-grade wood doors cost more, but offer the warmth of natural wood that can make a big difference in the curb appeal of a house. 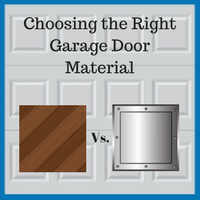 Regardless of which side of the spectrum you may choose, all wood doors need to be maintained and refinished regularly. 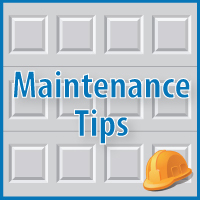 We will share some maintenance tips below.